Note: Batase School, which now goes up to grade 10, was destroyed in the 2015 earthquake. For 2 years, classes have been held in a temporary tin shelter. They are now moving these temporary classrooms in the hopes of constructing a new school–which Changing Lives Nepal will help to support. Dismantling and moving the temporary Batase classrooms, November 2017. Jyam Bahadur Tamang was the first person in his whole village area to pass high school, 20 years ago. Today, he is a dedicated and tireless educator. 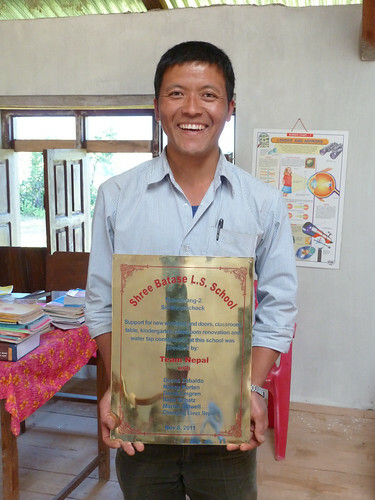 As the Principal of Batase’s village school, he oversees 185 children in 8 grades and teaches Nepali language. Because his wife lives hours away taking care of her ailing father, Jyam Bahadur also cares for his 3 children and his farm when he’s not at school. Highly respected for his dedication and his honestly, Jyam Bahadur rallied community support to build classrooms for Grades 6-8 so they could add those classes. Why? Because children had to walk 2 hours each way in order to attend Grades 6-8 in a nearby village. Batase is a Tamang village in the rural Himalayas about 4 hours north of Kathmandu. 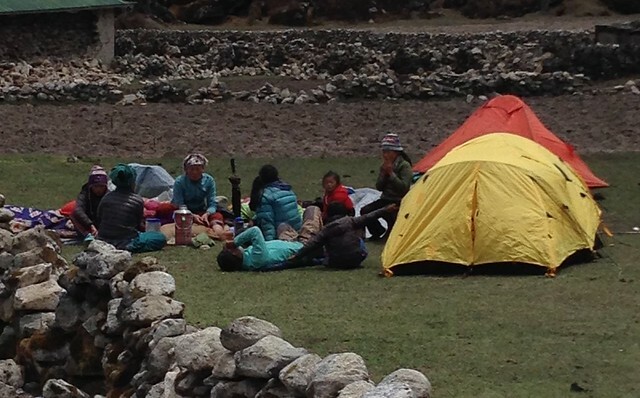 Tamang people are a Buddhist ethnic minority and are typically hard-working with strong community bonds. Indeed, when we visited the village, we found that they had already collected substantial money and materials from within the community and begun classroom construction, but they came up short of cash. 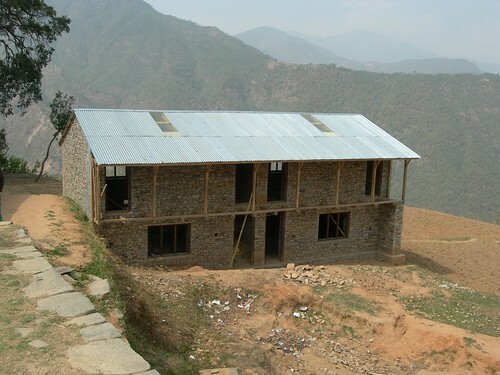 With partially finished buildings they had constructed using their own resources, we decided to provide funds to finish the doors, windows, and benches and to repair the school’s drinking water supply. 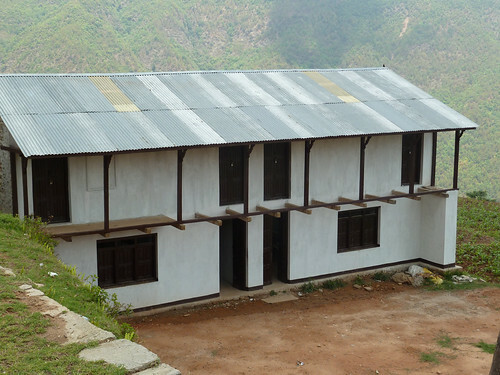 Batase School now goes through Class 8, and the construction we help support was well-managed. The school was then splitting 6 salaries across 9 teachers and had no computers–an offering that would attract and excite students. 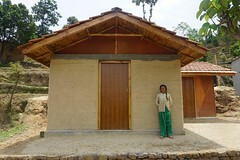 We went on to provide additional support for Jyam Bahadur and the school to add a fully funded teacher. 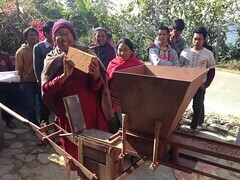 Most recently, Nancy’s daughter Bethany (while in high school) raised over $5700 and then travelled to Nepal to deliver 6 computers with educational software and 4 printers to rural schools in the Talamarang region, including Batase. The schools’ students and staff were really excited to have computers available—it’s not only a source of education but also of pride for the community! The remaining money helped support classroom construction at an area school. On the U.S. side, Bethany, who is 18, learned how to share her vision and concern for Nepal with people here at home by planning and executing a fundraising project. We’re delighted to be growing social entrepreneurs on both sides of the world!